Tahiti is part of the French Polynesian Islands that are located in the South Pacific Ocean, with only one other island close to it. This is an island that offers lush and exotic resorts, secluded away from the world. It is just a plane flight away and will cause you to fall in love the first visit. The weather is tropical and can give you a feeling of a Mexico or Hawaiian vacation, but will give you an experience that makes you seem like you are in another world away. 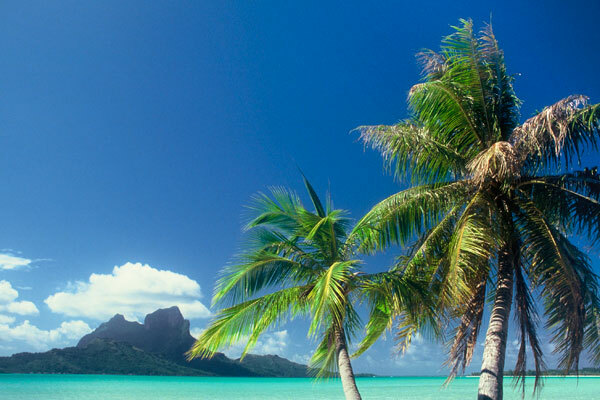 If white sand beaches, pristine blue waters, and private bungalows are your thing, then look no further than Tahiti. Whether you want to stay in beach hut or one of the famous Intercontinental over water bungalows, you will have your choice of secluded luxury. Tahiti is every couples dream honeymoon style vacation, where relaxation after a hectic schedule is the prescribed medication. Being featured as a Honeymoon destination in shows like the Bachelor, Tahiti is one of the most romantic islands to visit. The romance and appeal of the island comes from its seclusion, as well as intimate resorts offering unique surroundings. Having the ability to soak up the sun and relax on the beaches can make one dread having to go back to reality. Aside from just relaxing on the beach, which there is nothing wrong with, Tahiti also offers gorgeous water falls, exotic water gardens, and unique cuisine for all food lovers. All this can make the experience one not to forget.